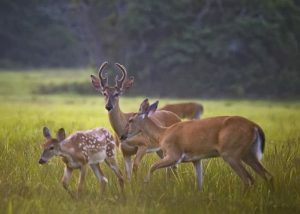 The use of deer hunting leases has boomed around the United States. One of the reasons for this increase in popularity is that many landowners are now willing to share their property with deer hunters when they, the landowner, know that they can be protected against lawsuits. In the past, landowners took a chance when they allowed strangers onto their property. If someone in the hunting party was injured or killed the landowner might be held responsible. Now, it is common practice for deer hunting to come with legal agreements that protect the landowner from these types of legal problems. When you begin exploring the various leases that are available in your area make sure that you read the contract carefully and that you understand all the provisions and restrictions that are contained in it. Most of these documents will contain a set of “usual” needs. These “usual” needs might include such things as requiring you and your party to obey all local and state laws pertaining to the particular hunt that you are on. They may include a provision that leaves the landowners blameless if someone is injured or killed while on his or her property. And they may include provisions for compensation should any damages be done to any real property such as to fences, livestock, or out buildings. For the most part landowners are honest people and they are not trying to pull a fast one on you with these agreements. They want to protect themselves and their assets. However, it is imperative that you read the deer hunting leases before you sign them. If you find that you do not understand a particular section or requirement, ask the owner to explain it to you before you sign. It is always good to keep in mind that once you sign the agreement you are bound by the agreement. If anything should happen, you will be held responsible. In some cases that can mean heavy fines or charges against you and your party. For many people, simply finding the best deer hunting leases in their area is the hardest part of the venture. You can do yourself a favor and save a lot of time by doing a simple online search. Many of the best areas are now posting their offerings online and they often upload important information that you can use to make your decision on the offering without having to call or visit the site. In general, leases are a great way to use lands that would otherwise be off limits to you. They offer fine hunting and are usually very affordable. If you read the fine print before signing and ask the questions that need to be asked, you will soon discover for yourself just how valuable deer hunting leases can be.